Hellego! Here is a very cool news story this week, in the innovative city of Silicon Valley, California, a 13 year old boy has built a braille printer out of Lego! This story is very strongly related to my previous post, the First Lego League in Toronto that took place last weekend. His name is Shubham Banerjee and he has launched his own company to produce low-cost braille printers for the visually impaired. Right now, braille printers cost about 2000$ which is way too expensive for most blind people. 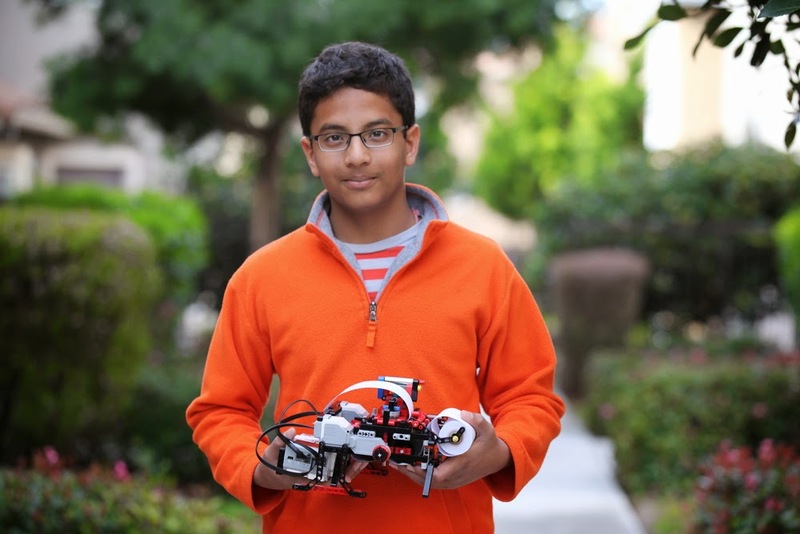 Shubham built the braille printer using a Lego Mindstorms EV3 set for his school science fair project. Just like the First Lego League, his is tackling a world problem by fixing it with Lego Mindstorms. Only this time, he is looking to have his idea put on the market. His parents started to get involved and since Shubham is to young to be CEO, his mother decided to take on the job. He has created his own company called Braigo Labs. His idea is so good, that the big company Intel has recently invested in his project. His end goal is to develop a braille desktop printer that costs around 350$ and weighs just only a few pounds. When he started his company last summer, he started with an initial 35000$ investment from his dad. Since then he has already used some of the money to build a more complex version of his Lego printer using an "off-the-shelf" desktop printer and a new Intel computer chip. This new model, the Braigo 2.0 can translate electronic text into braille.